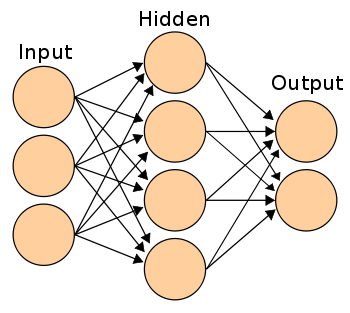 An Artificial Neural Network (ANN) is a computational model. It is based on the structure and functions of biological neural networks. It works like the way human brain processes information. It includes a large number of connected processing units that work together to process information. They also generate meaningful results from it. In this tutorial, we will take you through the complete introduction to Artificial Neural Network, Artificial Neural Network Structure layers of ANN, and the benefits and limitations of ANN. Neural networks are well-suited to identifying non-linear patterns, as in patterns where there isn’t a direct, one-to-one relationship between the input and the output. Instead, the networks identify patterns between combinations of inputs and a given output. Let’s say you’re building a system to distinguish between different types of animals–dogs, lizards, and dolphins–based on the presence (or absence) of various features. So, in our animal example, the presence of four legs or warm blood doesn’t do a good job of predicting whether an animal in question is a dog or not, since the former could also describe a lizard and the latter would also describe a dolphin. However, the combination of four legs and warm blood is a pretty good indicator (in our example at least) that we have a dog. Multiply the number of features and labels by a few thousand or million and you’ll have a good idea of how these networks work. Many media reports describe artificial neural networks as working like the human brain, but this is a bit of an oversimplification. For one, the difference in scale is tremendous: While neural networks have increased in size, they still typically contain between a few thousand and a few million neurons, compared to the 85 billion or so neurons found in a normal human brain. The input layer consists of the neurons that do nothing more than receive the data and pass it on. The number of neurons in the input layer should be equal to the number of features in your data set. The output layer consists of a number of nodes depending on the type of model you’re building. In a classification system, there will be one node for each type of label you might be applying, while in a regression system there will just be a single node that puts out a value. In between these two layers is where things get interesting. Here, we have what’s called the hidden layer, which also consists of a number of neurons (how many will depend on the number of neurons in your input and output layers, but don’t worry about that). The nodes in the hidden layer apply transformations to the inputs before passing them on. As the network is trained, those nodes that are found to be more predictive of the outcome are weighted more heavily. W(I1H1) is the weight of linkage between I1 and H1 nodes. In what situation does the algorithm fits best? ANN is rarely used for predictive modelling. The reason being that Artificial Neural Networks (ANN) usually tries to over-fit the relationship. ANN is generally used in cases where what has happened in past is repeated almost exactly in same way. For example, say we are playing the game of Black Jack against a computer. An intelligent opponent based on ANN would be a very good opponent in this case (assuming they can manage to keep the computation time low). With time ANN will train itself for all possible cases of card flow. And given that we are not shuffling cards with a dealer, ANN will be able to memorize every single call. Hence, it is a kind of machine learning technique which has enormous memory. But it does not work well in case where scoring population is significantly different compared to training sample. For instance, if I plan to target customer for a campaign using their past response by an ANN. I will probably be using a wrong technique as it might have over-fitted the relationship between the response and other predictors. For same reason, it works very well in cases of image recognition and voice recognition. What makes ANN a very strong model when it comes down to memorization? 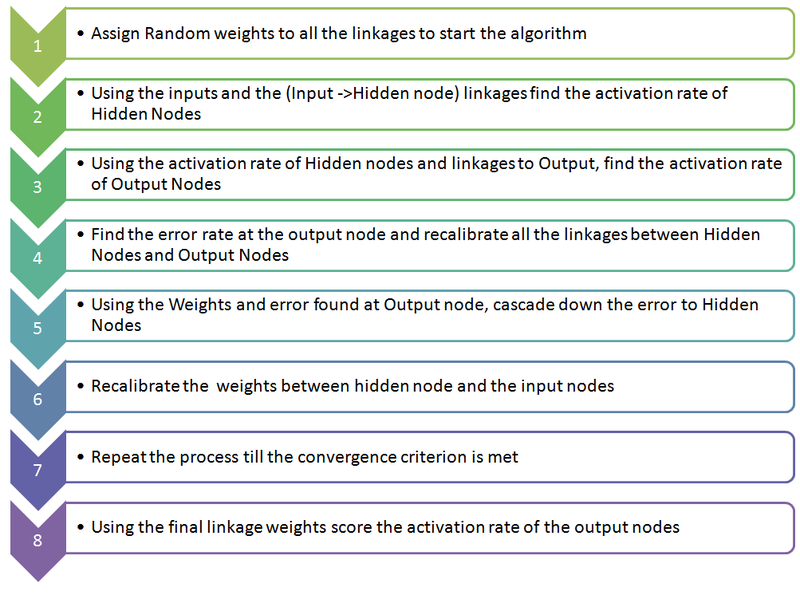 Artificial Neural Networks (ANN) have many different coefficients, which it can optimize. Hence, it can handle much more variability as compared to traditional models.